I have mentioned over and over how important reading is to me. I love reading and have such fond memories of curling up in a particular chair at my parents house and reading for hours on end. Thus, my love of reading is something I have wanted to pass on to my children. As a result, we probably have triple the amount of books as the average family does. I mean, my kids are only toddlers and we have hundreds. There are collections of kids books in every room of the house! I told you it is something important to me. Anyway, one thing I have noticed is though I like classic children's books, we tend to like other books better. And since my kids like reading so much, I have discovered having books with actual sentences (rather than a word or two per page) are so much easier for me to read. This book will always hold a special place in my heart. It was one of a couple books I bought when I was pregnant with Connor. And both my kids have enjoyed reading it. In fact, Isla even fake laughs and cries when we get to the line "I love your laughs and cries". Yeah, it's pretty stinking adorable. And since we ended up with both the US and UK versions, I can tell you there are slight differences, like a "hullabaloo side". And, well, the UK version wins hands down because, well that was the one I bought when I was pregnant! This is a good book because it is nice and long (in terms of toddler books), so takes some time to read. Plus, I love my kids saying "MOON!" and pointing to the moon every time I turn the page. And when Isla was a newborn, Connor used to point to a mama and baby on one of the pages and say "Mama and sissy". It pretty much melted my heart. We actually have a few of these Little People flap books. Both the kids love them. They have a lot going on in them and are great for teaching things like colors and shapes. Even though they don't have much in terms of reading, they have tons of flaps. And, well, kids love flaps. This is an older book, but the story is too good not to love. Basically Elmo is too young to keep up with the older kids and ends up getting left behind. Instead he has a great day with another kid's grandpa and the kids are sad they missed out. It doesn't hurt things that Elmo is the main player in the book because, well I have a daughter with a pretty big Elmo obsession. Lets just say that my favorite line in the book is "I love you without liking the naughty things that you do" and may have used it a time or two when Connor was really acting out. Given that we read a lot of books everyday, there are many more that we like including the Maisy series, the Clifford series and anything Elmo or Sesame Street (Isla's current obsession). Oh, and almost all our books have been purchased second hand. And most of them looked brand spanking new when we got them. You see, unless I really like a book, I am not going to pay full price for it because I want my kids to actually look through it and it is much easier to swallow when my kid tears up a book I paid 25 cents for vs $10. Parents out there, I'm sure you understand. Since I'm always looking for good kids books, I would love to know what some of your favorites are. Feel free to share some books that you loved from your childhood too. Can't go wrong with Wise Brown! The Trek - a colorful book about imagining jungle animals on a walk to school. The Harry series - less ridiculous than Clifford, but still lots of fun doggy antics. Counting Crocodiles - fun words like Sillobabble Sea. 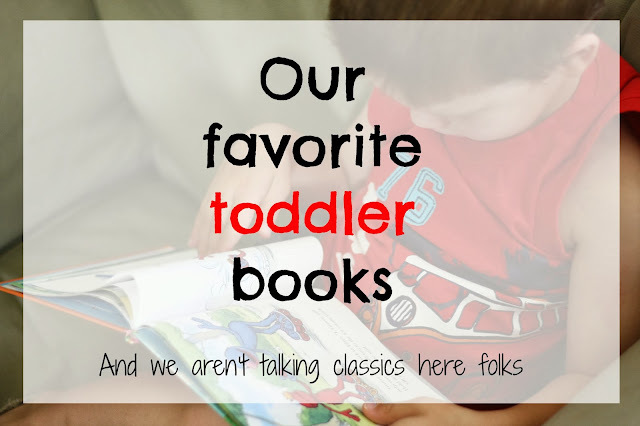 Anything by Robert Munsch - Paper Bag Princess, Stephanie's Ponytail, etc.